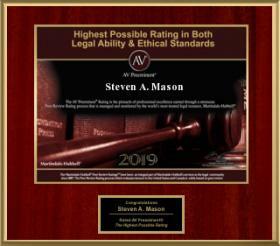 The Law Offices of Steven A. Mason, P.A., is a full-service family law firm, specializing in family law, divorce, military divorce, mediation and arbitration, homeowners association disputes, and probate. For more than 30 years, we have helped citizens in Greater Broward County, Florida, attain effective solutions to all of their legal problems. We are proud to have been elected to the 2014 Florida Super Lawyers list of outstanding lawyers who have attained a high degree of peer recognition and professional achievement. We take pride in providing our clients with the skill and personal services they expect and deserve from their family law attorney. Our Hollywood divorce attorney, Steven A. Mason, is a certified family and circuit civil mediator and qualified arbitrator. He also serves as a community association mediator, and he is a past president for the Association of South Florida Mediators and Arbitrators. These certifications are what make our firm unique. To learn about how our special qualifications can work to help you get the outcome you need, contact us to speak directly with attorney Mason. Contact our experienced Hollywood divorce attorney for more information today. 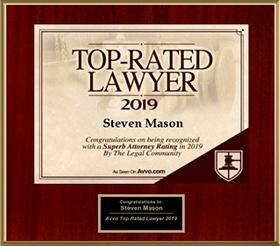 At the Law Offices of Steven A. Mason, P.A., we are proud of the professional reputation we’ve built for ourselves. Since 1981, we’ve served and advised clients in South Florida in a variety of legal areas such as divorce, family law matters and homeowners association disputes. Attorney Mason, a former member of the United States Military, also has the unique knowledge that is necessary to help facilitate military divorces. Since our inception, we have successfully handled thousands of cases for our clients, helping them to obtain the results they need to move forward with their lives. We truly understand the feelings of fear and uncertainty you are probably facing right now. It is our job to take care of the legal issues so that you can use your time to focus on the big picture, and what really matters. To speak with our experienced Hollywood family & divorce attorney about your situation, call 954-963-5900, or contact us online. We accept all major credit cards. * AV rated for Ability & Ethics by Martindale-Hubbell Law Directory based upon opinions of Judges & Lawyers.